“The best of both worlds” gets thrown around a lot. But in Nova Scotia, just under one million people enjoy a lifestyle that offers it all. Here, you can dance to a vibrant urban energy, and take it slow in the province’s wonderful wild. Indulge in the sea’s bounty (lobster anyone?) while savouring a glass of wine crafted in the province’s lush interior. And discover a rich and colourful history – including five UNESCO World Heritage Sites – contrasted with a dynamic modern flair. Why would you ever settle? In Nova Scotia, you get world-class professional opportunities balanced with a truly satisfying lifestyle. With 41 hospitals across the province, it’s easy to practice where you play. Making life here incomparably rewarding. 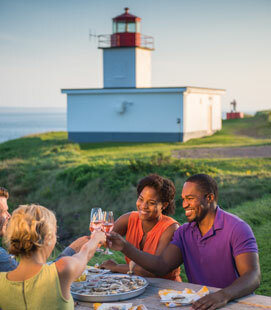 With more than 13,000 km of coastline ready for you to explore, Nova Scotia’s culture is undeniably connected to the sea. The sea provides both opportunities for recreation and dining pleasure. Sea kayaking, sailing, and yachting are never more than an hour away, and relaxing sandy beaches dot the coastline. So feel the sand between your toes, hike a rocky shore, or explore an urban boardwalk – with the clean, salty breeze your constant companion. 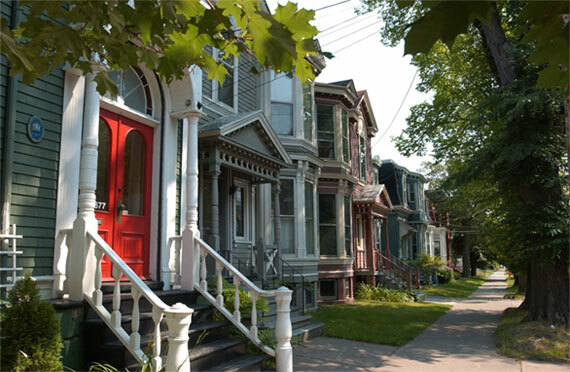 Whether you buy a home in a vibrant city or town, or on the tranquil coastline, life in Nova Scotia is an indulgence you can afford. In 2018, the average home price in Halifax was $311,841, granting the city one of the lowest costs of living in Canada. Yes, your money simply goes further here, but more importantly, it buys you a lifestyle you just won’t find anywhere else in the country. Nova Scotia’s 10 universities and many colleges have created a well-educated population, a youthful entrepreneurial spirit, and a depth of opportunity for professionals of every stripe. Balanced with growing tech and creative sectors, Nova Scotia is a hub for medicine, boasting both the largest medical school and the largest hospital in Atlantic Canada. Here, rewarding opportunity is as close as the sea.